Which alarms respond the fastest? A smoke alarm has one job – to alert you to fire so you can get out of your home safely. We tested photoelectric and ionisation alarms to see which respond fastest to smouldering and flaming fires. We found not all smoke alarms are created equal. Bottom line: This photoelectric smoke alarm is good at detecting smouldering fires and OK at detecting flaming fires. It has a 10-year battery. Bottom line: This photoelectric smoke alarm is good at detecting both smouldering and flaming fires. But it doesn't have a 10-year battery. Bottom line: This photoelectric smoke alarm is good at detecting smouldering fires and OK at detecting flaming fires. It doesn't have a 10-year battery. Bottom line: This ionisation smoke alarm is poor at detecting smouldering fires and extremely sensitive to flaming fires. It doesn't have a 10-year battery. We don't think you should buy it. Bottom line: This photoelectric smoke alarm is good at detecting both smouldering and flaming fires. It has a 10-year battery. Bottom line: This modified ionisation smoke alarm is poor at detecting smouldering fires and extremely sensitive to flaming fires. It has a 10-year battery. We don't think you should buy it. Bottom line: This photoelectric smoke alarm is good at detecting smouldering fires and OK at detecting flaming fires. It has voice alerts and a 10-year battery. Bottom line: This photoelectric smoke alarm is good at detecting both smouldering and flaming fires. It can be grouped wirelessly and has a voice alert, but it doesn't have a 10-year battery. This report is free thanks to funding from Tenancy Services. Our head of testing Paul Smith sat down with RNZ's Simon Morton to discuss our findings on smoke alarms. Our test was based on the UL217 standard for smoke alarms. Multiple alarms were placed in our “smoke-sensitivity chamber”. Smoke was introduced from a “smoke box”, which contained the burning or smouldering source, so the level of smoke increased steadily until the alarm was triggered. We generated smoke from flaming wood, flaming oil, smouldering wood chips, and smouldering upholstery foam. We also used burning toast and a frying hamburger pattie to see how the alarms responded to “nuisance alarm” sources. We tested three samples of each alarm with each smoke source. Our results show how the alarms responded compared to control sensors in the chamber for flaming and smouldering smoke sources. A “Good” or “OK” response meant the alarm sounded quickly enough to alert you to danger. Alarms with a “Poor” response took significantly longer to sound, while “Extreme” sensitivity meant the alarm sounded so quickly they are more likely to issue false alarms. To assess individual models we are developing our test to also include battery life and longevity, key factors why alarms are taken down, or replaced much sooner than expected. We also assessed the quality of the supplied instructions and how easy an alarm was to install. This doesn’t contribute to our overall score. Which type of alarm should you buy? We recommend you choose photoelectric alarms. Fire and Emergency New Zealand recommends photoelectric alarms. The Residential Tenancy Act requires landlords to replace expired smoke alarms with long-life battery photoelectric smoke alarms. We think ionisation alarms should not be sold in New Zealand. Smoke from a flaming waste paper bin or cooking oil fire is different from that produced by the cooler smouldering of upholstery foam, bedding or the plastic bits of electrical equipment. The difference between flaming and smouldering fires is important. Smoke alarms use either photoelectric or ionisation sensors to detect smoke. You’ll find some that have both types of sensor (“dual” models). Some claim to be “modified” or “enhanced”. But, despite the marketing, they are all some flavour of those first two technologies. Ionisation smoke alarms are typically more effective at detecting fast flaming fires, which consume combustible materials rapidly and spread quickly. Photoelectric smoke alarms, on the other hand, are typically more effective at detecting slow smouldering fires, which burn for hours before bursting into flame. All our tested alarms detected smoke from flaming and smouldering fires. The four ionisation alarms in our test were faster at detecting flaming fires (burning oil and wood) but much slower at detecting smoke from smouldering foam. The job of a smoke alarm is to alert you to a fire so you can get out safely. A fire that develops in the night, when you are asleep, is likely to be the slow smoulder of a faulty electric blanket, curtains draped over a heater, or the plastic coating of a dodgy extension cable. 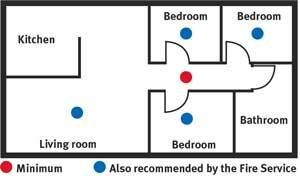 Ionisation alarms, the slowest to respond to this type of fire, are the worst choice. Which type have you got? If your house has ionisation alarms, supplement (or replace) them with our recommended photoelectric models. Ionisation models require a tiny amount of radioactive material to make them work. You can identify one by the radiation symbol somewhere on the plastic body. The majority of smoke alarms now come with a built-in, sealed, long-life lithium battery, good for 10 years of operation. It’s worth keeping receipts and noting when they were installed, as we’ve had reports from members of some “long-life” sealed models failing after just a year or two. If they do, take them back to where you bought them. 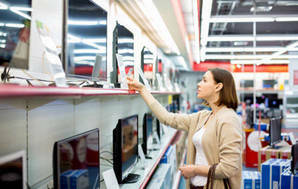 You’ll still find models with replaceable 9-volt batteries. If you’re on a budget, they can be tempting, but we advise against them. A 9-volt battery will last for about a year before it’ll need replacing. A smoke alarm with a battery running down results in annoying “2am chirps”. These always occur in the middle of the night when it’s colder. The chirps are another reason why smoke alarms get taken down, or batteries get removed and not replaced. Some smoke alarms can be hard-wired into your home. This is a great idea, but installation is more involved (and costly) than for battery models as you need to run wiring to each location. You’ll need the services of an electrician. Make sure a wired-in alarm has a backup battery installed so it’ll work in a power cut. The New Zealand Building Code requires an approved smoke alarm to be fitted in every escape route (hallway) and within three metres of every sleeping space (bedroom) door. Fire and Emergency New Zealand goes further and recommends installing a smoke alarm in every bedroom, hallway and living area, on every level in the house. We suggest an alarm should be fitted in every bedroom and hallway at a minimum. 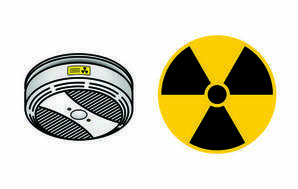 Alarms must be installed on or near the ceiling (because smoke rises). There’s evidence an upstairs alarm in a stairwell is likely to respond before one fitted downstairs, even when the fire is downstairs. 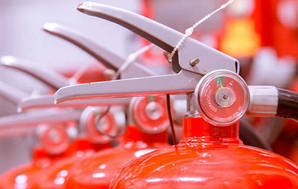 There are 6 types of fire and many types of fire extinguisher. Unfortunately, there isn’t one fire extinguisher that works on all fires. Even worse, some extinguishers can be downright dangerous to use on some fires. So which should you keep handy at home? Along with a raft of other changes as a result of the leaky building crisis, the building code was changed in 2003 to require smoke alarms to be fitted to all residential buildings. This doesn't mean that a council inspector will come knocking on your door to check if you have fitted the alarms. But it does mean that a code compliance certificate won't be issued - for any building work that requires a permit - until the alarms are fitted. According to rules set down by the Building Code, smoke alarms must be "type 1" units. This means they must have a hush button - to allow nuisance alarms to be cleared without removing the battery - and also a test button. in all rental homes, boarding houses, rental caravans, and self-contained sleep-outs (holiday lets are exempt). Nuisance alarms aren’t just a response to burning toast. They can also be caused by high humidity, dust and insects. Every alarm has a “hush” button, but it will sound again seconds later unless the source is removed. Frustration from false alarms results in batteries being removed, or alarms removed entirely. However, if a real fire strikes, you’ll be at risk. Ionisation models are often cited as the worst culprits for nuisance alarms – two of the four ionisation alarms in our test were the first to respond to our nuisance sources. That’s another reason why you should fit photoelectric models. However, many of the photoelectric alarms weren’t far behind. None of the alarms in our test could tell the difference between real and nuisance smoke. In general, the best alarms at ignoring nuisance sources were also the worst at responding to real sources. Carefully positioning your alarms – don’t put one within three metres of the kitchen or bathroom. Avoid putting alarms close to heat pumps or heating vents that stir up dust. If you’re cooking or showering, use a rangehood or extractor and try to keep doors closed. You should also take alarms down occasionally and vacuum them to remove dust and dead bugs. Through our “What’s New” email, we asked our members if they’d replaced a smoke alarm in the last five years. Of 249 who replied, 90% (226) had replaced an alarm. A quarter of alarms replaced were ionisation models, while half were photoelectric (the rest couldn’t remember). Over 70% of replacements were because the alarm was “beeping for no reason” or gave “nuisance alarms when cooking”. But sealed long-life battery models weren’t immune to problems. A common complaint was battery life not meeting expectations: “It was supposed to be 10 years, but it only lasted for two. Pity I didn’t keep the receipt!” And when a sealed alarm fails, it’s time for a new one, “Has only lasted three years and can’t replace the battery, not good value for money”. One member became so frustrated with a sealed long-life battery alarm beeping for no reason, even after taking it down, he resorted to smashing it open to disconnect the battery. We advised him to take it back to the store, in its disassembled state, for a refund. 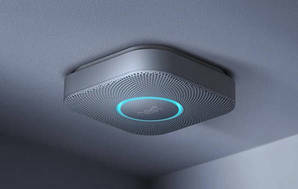 The Fire and Emergency New Zealand says the ideal alarm for the deaf and hearing-impaired is a hard-wired series of interconnected photoelectric smoke alarms fitted with bed-shakers, strobe lights, or pagers. These systems can be expensive, but if you meet certain criteria you may qualify for funding for a system to be installed by the Ministry of Health or Housing New Zealand. Contact Deaf Aotearoa to learn more. The Nest Protect ($219) performed very well in our lab test. It also does much more than a regular smoke alarm. We trialled its extra features in a home for a few weeks and were impressed.